Dragon have achieved high standards with their diecast tanks, with accurate paint schemes and detailing. 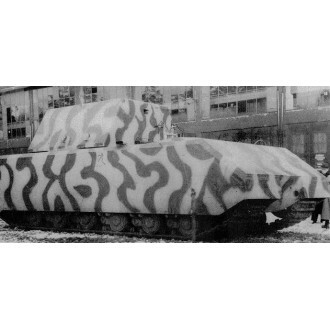 This version has camouflage and stars and hammers and sickle markings believed to have been used try to disguise the prototype as a captured Russian tank. Dragon have brought us an unusual tank model with this version of the experimental Maus, fitted with a mock turret, simulating the weight of the turret during testing of the chassis. This dummy turret was fitted when the first prototype was undergoing testing and trials at Böblingen in January of 1944. 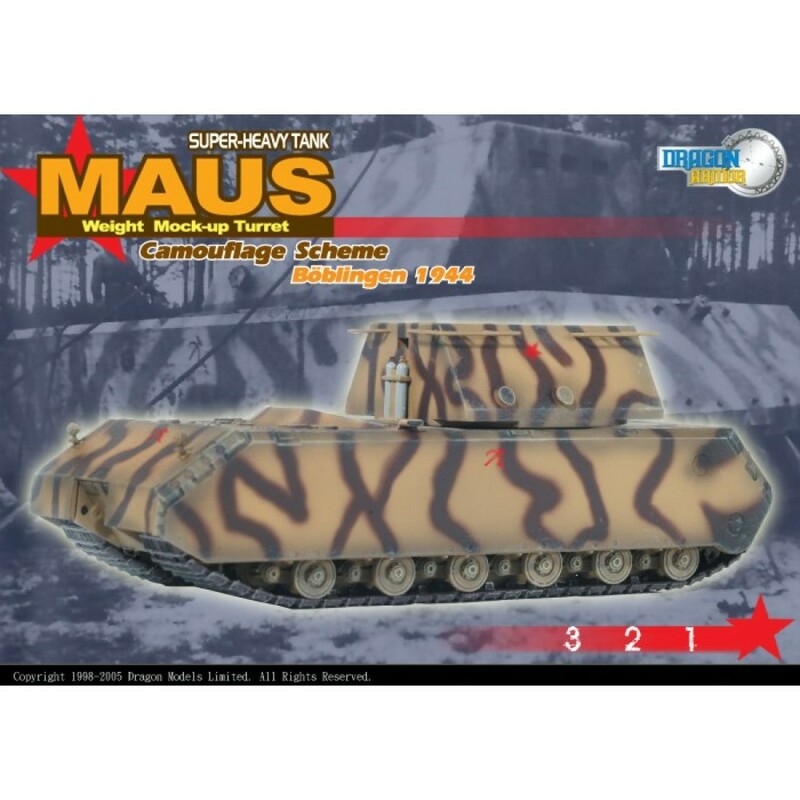 1/72 scale authentically detailed fully assembled die-cast model complete with stand and clear plastic display case.